Southern Drilling Company, a wholly owned subsidiary of Marine Drilling Company, and Bethlehem Steel Corporation‘s Beaumont, Texas, shipyard, recently commissioned a 250-foot water depth mobile offshore drilling unit. James C. Storm has been a long-time customer of Bethlehem Steel Corporation’s shipyard at Beaumont. Mr. Storm’s dealings with the yard follow a direct line back to 1949. Then in November 1954, the Beaumont yard delivered the Mr. Gus, the first mobile drilling platform capable of operating in 100 feet of water. Mr. Storm then formed Marine Drilling Company and ordered J Storm I from the Beaumont shipyard. J Storm I was initially ordered with capability to operate in 225 feet of water. Mr. Storm asked if the columns could be strengthened and lengthened. The yard added 25 feet of capability, and the rig became the prototype for B e t h l e h e m ‘ s series of 250-foot jackup rigs. He also ordered the first jackup drilling unit capable of working in up to 375 feet of water. 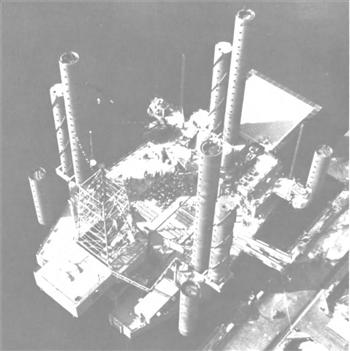 The yard designed this platform to utilize telescoping legs so it would be manageable under tow to different locations, yet be able to work in deeper waters. This rig, J Storm VII, was delivered in 1976. Mr. Perry, general manager of the yard since June 1, 1978, reported that Beaumont has work for the next 1H years. “We have orders for 12 offshore mobile drilling units, which will take us into 1983, and negotiations are being conducted for additional contracts.” The general manager said that the yard has delivered four jackup drilling units thus far this year, and anticipates delivery of four or possibly five more by the end of the year. The shipyard’s principal products are offshore mobile drilling units, primarily jackups, and oil and gas production and storage facilities for offshore service. The Beaumont yard has built many ships and barges, principally for the petroleum industry, and can handle any repair, reconditioning, conversion or jumboizing of ships. It has a floating drydock with lifting capacity of 17,500 tons and extreme length of 648 feet. Its mobile floating crane has a capacity of 500 tons. Former oilfield roustabout, James Storm became a partner in Glasscock Drilling Company in 1942 and stayed in drilling until his death in 1991. Together with Bethlehem Steel Corp., Storm designed and supervised construction of Mr. Gus and Gus II, the first rigs able to drill in water depths of 100-ft and 150-ft respectively. 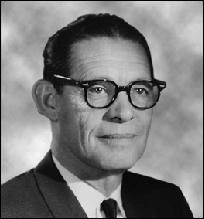 From 1962 to 1968 he formed Storm Drilling and Marine Drilling. During this period he developed and patented a slant hole rig to extend lateral reach from a drill site. Between 1968 and 1987 he built and placed in operation seventeen mobile jack-up rigs.